Southern Serenity Ranch Tennessee Walking Horse "Walk Hard" is shown by Patrick Thomas at the Germantown Charity Horse Show in Germantown, Tenn., in 2012. NASHVILLE -- Three years after a prominent Tennessee walking horse trainer pleaded guilty to abuse charges following the release of undercover videos, a new horse abuse investigation is under way. The Rutherford County Sheriff's Office is investigating allegations of Tennessee walking horse abuse at ThorSport Farm following new videos the Humane Society of the United States says show trainers applying caustic substances onto horses' forelegs to irritate them. The trainers then place chains over the inflamed area that hit the forelegs as the horses walk. The illegal training method is known as soring and is used to create the "big lick" gait prized at some horse shows. The Humane Society says an undercover stable worker took the videos and also collected samples of the chemicals applied to the horses' legs. Testing found them to contain salicylic acid and mustard oil, among other illegal substances, Humane Society Vice President of Equine Protection Keith Dane said. In an emailed statement, stable owner Duke Thorson said, "ThorSport Farm has a well-earned reputation for operating ethically and legally, and we emphatically reject the HSUS's charges of soring." The statement says the videos show ordinary leg care, not soring. It also says, "ThorSport Farm continues to work vigorously to end abuse and clean up the industry." Thorson also owns ThorSport Racing, a NASCAR Camping World truck series team based in Ohio. Allegations of abuse have plagued the walking horse industry for decades. The 2012 video that showed trainers soring horses, beating them and poking them with electric cattle prods sparked outrage and helped spur an ongoing effort in Congress to update the 1970 Horse Protection Act. The video also created a backlash in Tennessee, where lawmakers passed a bill that would have required images documenting animal abuse be turned over to law enforcement within 48 hours. Gov. Bill Haslam vetoed the bill after an opinion by the Attorney General called the measure "constitutionally suspect." It is one of only three bills Haslam has vetoed since taking office in 2011. In a Tuesday conference call with reporters, Humane Society President Wayne Pacelle said part of the reason for the second undercover video was to show that soring is not isolated to a few trainers or stables. The walking horse naturally has a unique gait, but Pacelle said he believes the only way to achieve the big lick is through soring. That's a statement Tennessee Walking Horse National Celebration CEO Mike Inman says is "totally false." 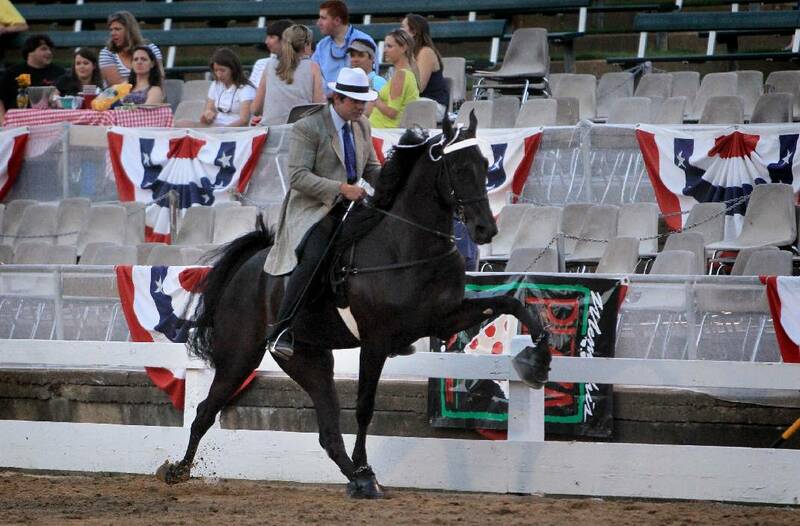 Inman says the walking horse's animated gait is genetic and can be exaggerated by using certain shoeing and equipment. He said he had no knowledge of the allegations that some of the ThorSport Farm horses scheduled to compete in the celebration that begins Wednesday were subjected to soring. But he said that in general, pre-show inspections for any signs of abuse are thorough. "The walking horse competition is the only horse competition where every single participant must be inspected before a show," he said. Also every winner and several random horses are re-inspected after they compete. The Humane Society's Dane said on a Tuesday conference call that he is a lifelong owner of Tennessee walking horses and has served as a judge at walking horse competitions with flat-shod horses that don't feature big lick gait. Dane said the walking horse's natural gait is beautiful, but the entire breed is suffering because some people continue to abuse them to win competitions. "This is a wonderful breed that has been decimated by the black eye and stigma of soring," he said. ... "The Horse Protection Act needs to be updated so we can root out the cheaters." The Rutherford County Sheriff's Office says no charges have been filed, and the investigation is ongoing.